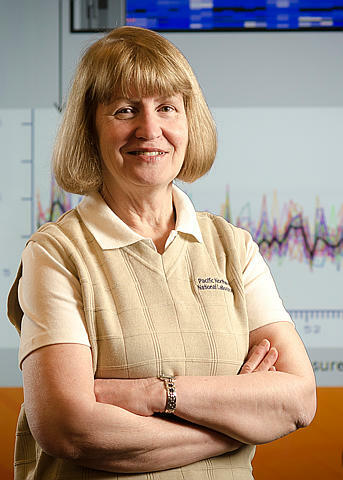 Congratulations to Dr. Karin D. Rodland, Pacific Northwest National Laboratory, who was invited to serve as chairperson of the National Institutes of Health's Cancer Biomarkers Study Section. Her 2-year term begins July 1. The Study Section reviews grant applications on the discovery, development, and validation of diagnostics and biomarkers for early detection of cancers. The group will also review applications for the discovery, development and validation of prognostic markers of cancer progression, recurrence, and response of therapy. Says Dr. Richard Nakamura, Director of the NIH's Center for Scientific Review, "The skill and leadership offered by the chairperson determine to a significant extent the effectiveness and efficiency of the review group. I want to emphasize the importance of Dr. Rodland's participation in assuring the quality of the NIH peer review process."